Chiniot (Urdu: چِنيوٹ‎; Punjabi: چنیوٹ) is a city and the administrative headquarter of Chiniot District in the state of Punjab, Pakistan. 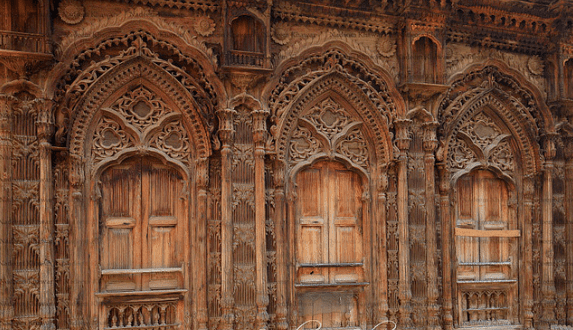 On the bank of the river Chenab, it is known for its intricate wooden furniture, architecture, havelis, and mosques. Chiniot city lies on left bank of the Chenab River amidst small rocky hills. It is at the intersection of the Faisalabad-Sargodha and Lahore-Jhang roads. 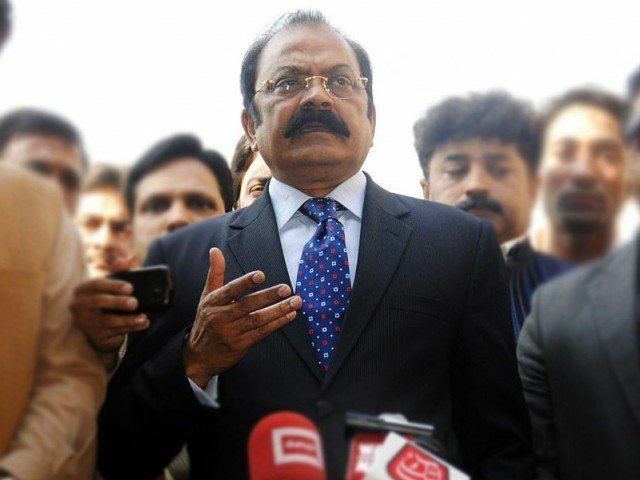 It is 158 kilometres northwest from Lahore and 38 kilometres north of Faisalabad. Chiniot city is spread over an area of 10 square kilometers with an average elevation of 179 meters (587 ft). Rabwah city, the headquarters of the Ahmadiyya Community is on the other side of the Chenab River. In the center of river a worship center (or Chilla Gah) of the Sufi Bu Ali Shah Qalandar is located. The weather in Chiniot is variable. According to the 1998 census, the population of Chiniot was 9,65,124 (included urban 1,72,522). According to the 2010 estimated census, the urban population of Chiniot is 2,01,781. Languages spoken are Punjabi. The literacy rate of Chiniot is about 95%. The important products of Chiniot includes silk, cotton, wheat, sugar, rice, milk, pottery, wooden furniture, etc. Educational institutions in Chiniot include Masoomeen Foundation High School Chiniot, Allama Iqbal Model School Chiniot, Din College,Chenab College, Chiniot and a newly created campus of National University of Computer and Emerging Sciences (NUCES), and Islamia College Chiniot. Chiniot government has given library facilities to its residents, especially students. After his death, Sheikh Omar Hayat's palace Omar Hayat Mahal was converted into a library by the government of Pakistan. Chiniot is very well-connected with the rest of Pakistan by a main highway and a rail line. The nearest international airport is Faisalabad International Airport, which is 48.5 kilometres from Chiniot. The railway track is the easiest and cheapest way of transportation. Chiniot railway is a main source of transporting the furniture from Chiniot to the rest of Pakistan; it is a main source of importing the wood for furniture from all over Pakistan. Chiniot Railway Station was built in 1927 during British empire. It was a great step for the local economy. Khatm-e-Nabuwat Chowk is the main place of and main intersection between GT roads connecting large cities of Pakistan. Chiniot Bridge is crossing over Chenab river on the Chiniot-Sargodha road. In Chiniot people celebrate Islamic occasions with great arrangements. On 12 Rabi' al-awwal, 1440th birthday celebration of the Islamic Prophet Muhammad, people of Chiniot arranged a 63-maund cake, one of the largest cakes in the world. 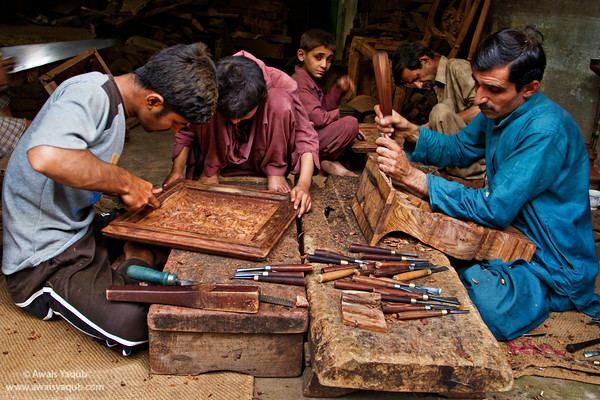 Chiniot is world-famous for its furniture. Chinioti craftsmen and artisans have for centuries carved flowers and geometric pattrens onto cellulose fibres. Masons from Chiniot are thought to have been employed during the construction of the Taj Mahal and Golden Temple. Cricket is the most popular sport in Chiniot. Football is also played in Chiniot. Other popular sports include Hockey, Volleyball, Basketball, Badminton, Tennis, Kabbadi, and Horse racing. Mian Muhammad Mansha, third richest person in Pakistan, owner of the MCB Bank Limited and Nishat Group. Wazir Khan, a court physician in Mughal Empire, famous for the Wazir Khan Mosque, Lahore.